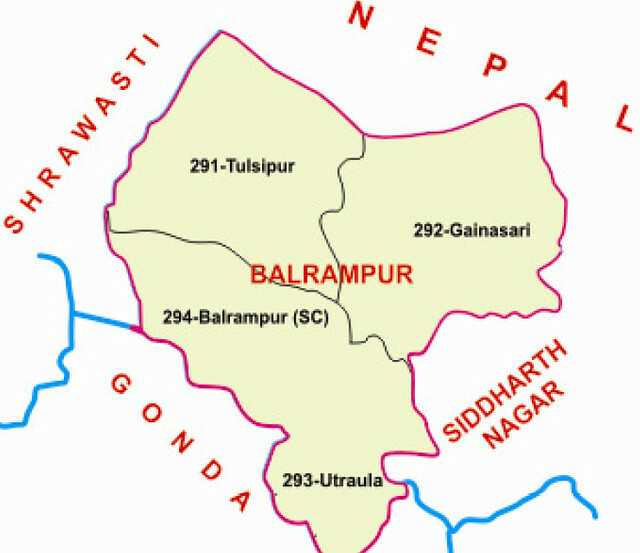 There are four legislative assembly constituency in Balrampur district for the 2017 Assembly elections. They are 294 Balrampur, 292 Gainsari, 291 Tulsipur, 293 Utraula. When Uttar Pradesh assembly election 2017 is getting ready to electios new Assembly, Balrampur is not anywhere behind in the election heat. Balrampur district is one of the districts of the Indian state of Uttar Pradesh and is a part of Devipatan division as well as the historic Awadh regions. Located on the banks of the West Rapti River, Balrampur town is the district headquarter. Balrampur is known for the temple of Pateshwari Devi, a Shakti Pitha, and for the ruins of the nearby ancient city of Sravasti, now a pilgrimage site for Buddhists and Jains.